Creating safe, vibrant and engaged communities is at the centre of a recent government housing transfer to AnglicareSA in Woodville. Today Premier Jay Weatherill will officially open AnglicareSA’s new tenancy offices at Kilkenny, before the final management transition to AnglicareSA on 23 September. The Housing SA parcel, which will includes 737 homes in the Woodville region, has been awarded to AnglicareSA by Renewal SA as a part of the Renewing Our Streets and Suburbs (ROSAS) housing transfer. 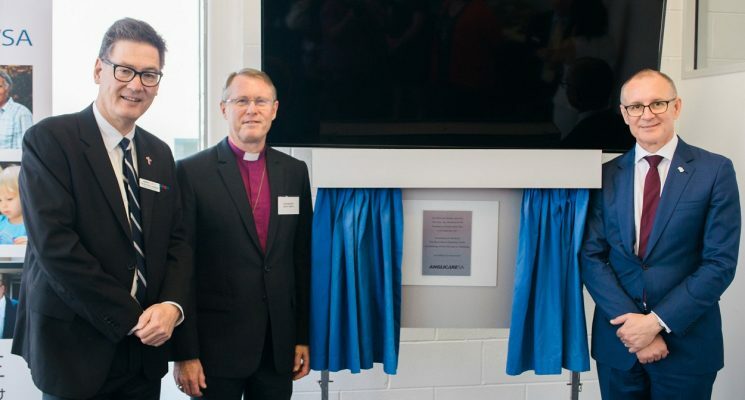 AnglicareSA CEO Peter Sandeman said that the transfer represented an opportunity to connect communities and provide a holistic approach to social housing services. “Our services aren’t simply about providing housing but working with tenants to build a vibrant, sustainable community,” Peter said. Premier Jay Weatherill said that working with recognised community housing providers, such as AnglicareSA, increased the availability of social and affordable housing in South Australia. AnglicareSA Housing is a nationally accredited Tier 1 housing provider, recognised for providing quality, local and personalised community housing services.